Before the movers pull their trucks up to your home, you need to have a lot done in order for them to be able to do their jobs. The most important thing you can do is clear your home of any clutter or garbage. Homes, especially ones that have families living in them, seem to naturally acquire clutter. 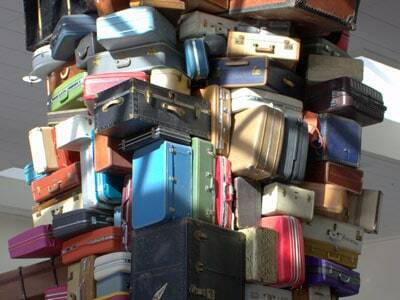 Decluttering your home should always be the first thing you do before you call the movers. After you declutter your home, the next step is shedding anything that isn’t essential. Shelters and places like Goodwill need donations to help others in need. Donating to these places not only frees your home up of unnecessary items that you wouldn’t have wanted to pay to get moved anyway while helping those in your community. Places like Goodwill also offer tax credits for donations too. Packing neatly not only helps the movers expedite the loading and unloading process, but it makes for an easier unpacking on the other end too. Large plastic bins are a great way to pack a wide variety of objects while offering convenience and security of latched handles. Sturdy cardboard boxes are good too but require a little more attention when it comes to taping them up and handling them with care, so they do not break open. Do not overstuff boxes because it could lead to the content of the package being compromised. 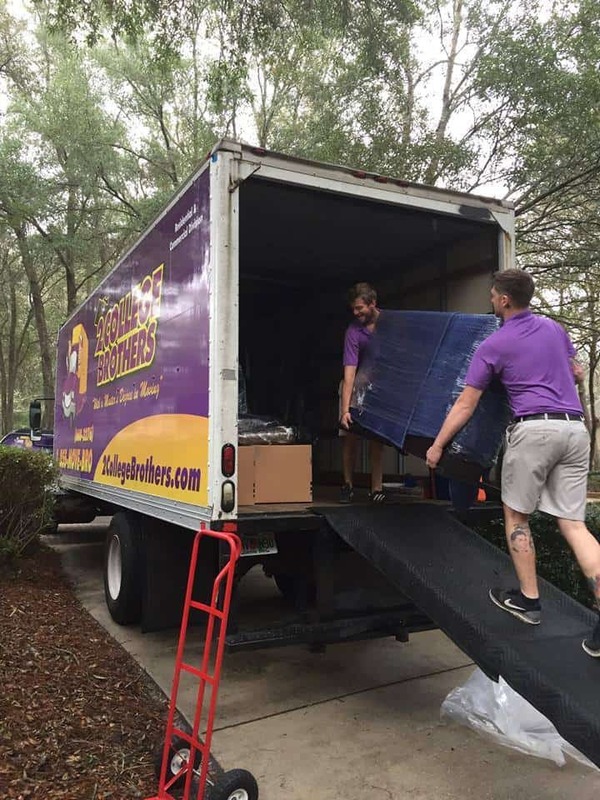 Looking for Local Movers Tampa FL? 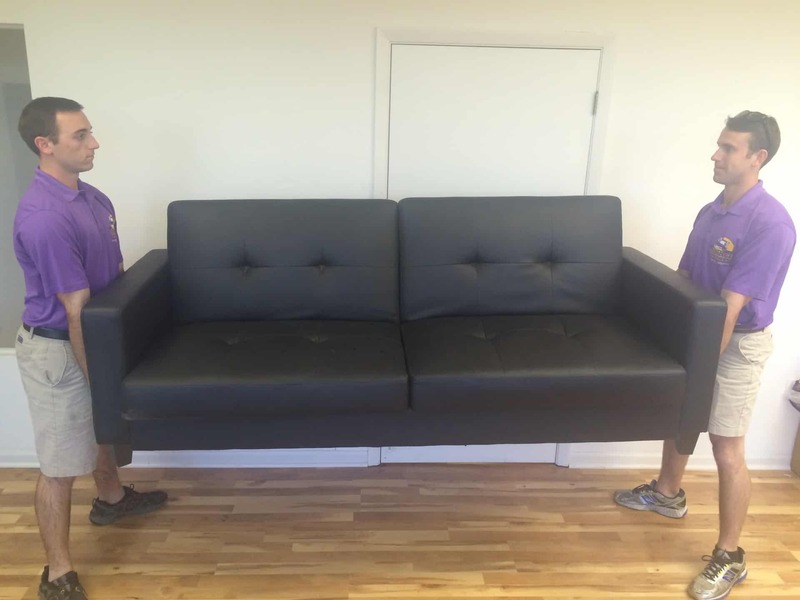 Have you been looking for local movers Tampa FL? If so, contact us today! 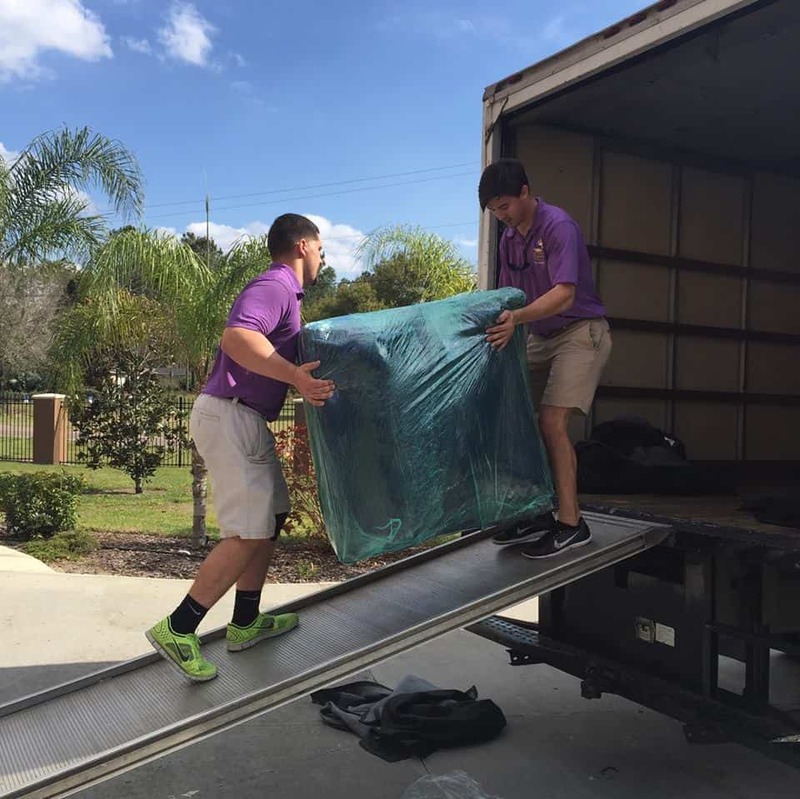 2 College Brothers Moving Company is your best choice for reliable movers in and around the Tampa area. While this might seem obvious, it should be stated. With something as valuable as your personal possessions, do you really want to trust them to just anyone? You want to make sure that the moving company that you use has a stellar reputation. That includes positive customer reviews, the proper licenses and insurance, and honest estimates. The last thing you want to do is hire a company that breaks your stuff and then charges you more than you were quoted. In order to avoid bad reports by the Better Business Bureau, some moving companies will have multiple names in order to fool customers. Don’t fall for that. Make sure you do your research. A reputable moving company will have a local address and information about licensing and insurance. Their employees will also answer the phone with the full name of the business. 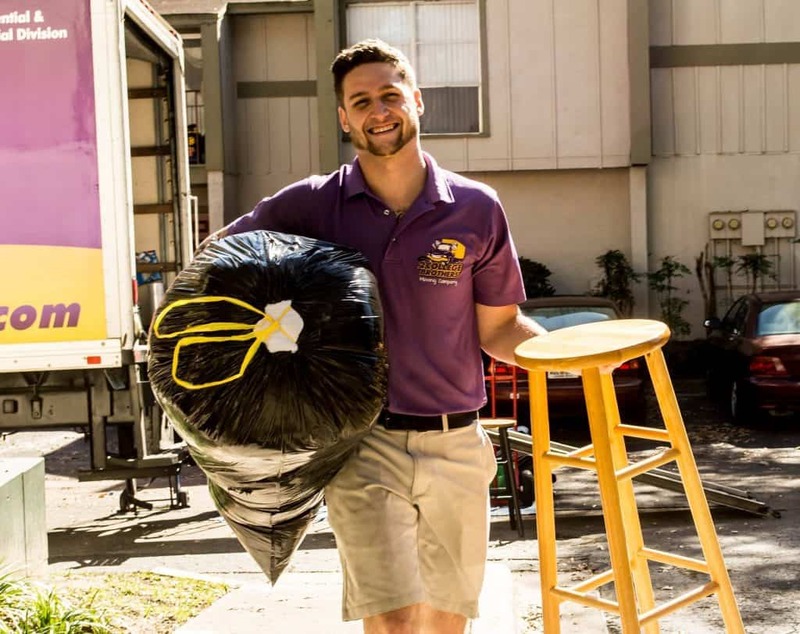 Are You in Need of Moving Services in Tampa? At 2 College Brothers, we don’t just talk a big name, we also have the credentials to back it up. If you are looking to move in the near future, contact us today to learn more about our moving services. Before the movers arrive to load up the truck, take the time to thoroughly clean and dust all the furniture. Dust and other debris can scratch furniture during the moving process. Also, cleaning the furniture before the move will ensure all that dust and dirt doesn’t come with you when you leave. If there is any furniture that can be dismantled before moving, do it. That includes removing any knobs, casters, or pulls. Also, take the drawers out of any furniture that has them. Basically, if there is any piece of furniture that can be safely dismantled, go for it. This will make the furniture easier to move. It will also help prevent damage caused by brushing up against walls or door frames. It will also make it easier for the truck to get packed. 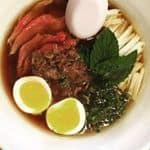 Are you moving either to or from the Tampa area? Don’t go through the moving process alone. 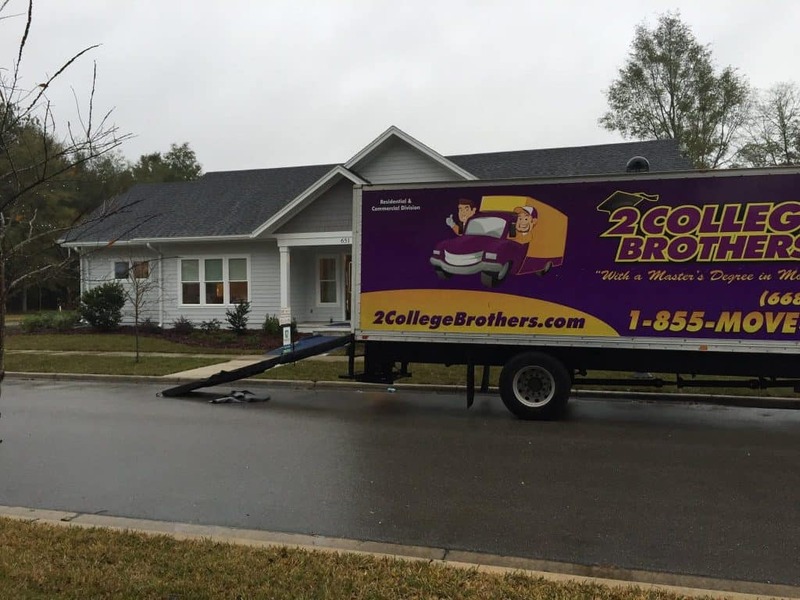 At 2 College Brothers Moving, we will take care of the moving for you, alleviating some of the stress. Contact us today to learn more and to request a free estimate. Moving can be a stressful time. Throw in a relocation to a new state or area of the country for work and it can be downright overwhelming. The key is to have a good plan in place and to stay calm. 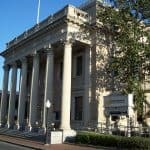 Let’s take a look at some things you can do in order to prepare for relocation using relocation services in Tampa. Before you move, make sure you fill out the proper change of address forms for your mail. This will ensure that you don’t have any mail going to the wrong place and that when you arrive at your new home, your mail will as well. Sure you might want to have the entire ordeal done in a day or two, but is that a realistic expectation? It’s important to create realistic expectations about your entire moving process. Doing so will alleviate some of the stress and make the entire process just a little easier. Over the years, or even decades, of living in the same place we end up acquiring a lot of stuff that we don’t really need. Going through everything in your house and determining what you want to keep and what you can trash will help a lot when it comes time to actually pack and move everything. Are You in Need of Relocation Services in Tampa? Most importantly when you are ready to move, don’t forget to contact us as 2 College Brothers Moving for all your moving needs. 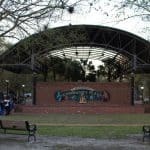 Moving to Tampa or Gainesville? 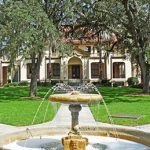 Tampa’s Hyde Park neighborhood is a great place to live. 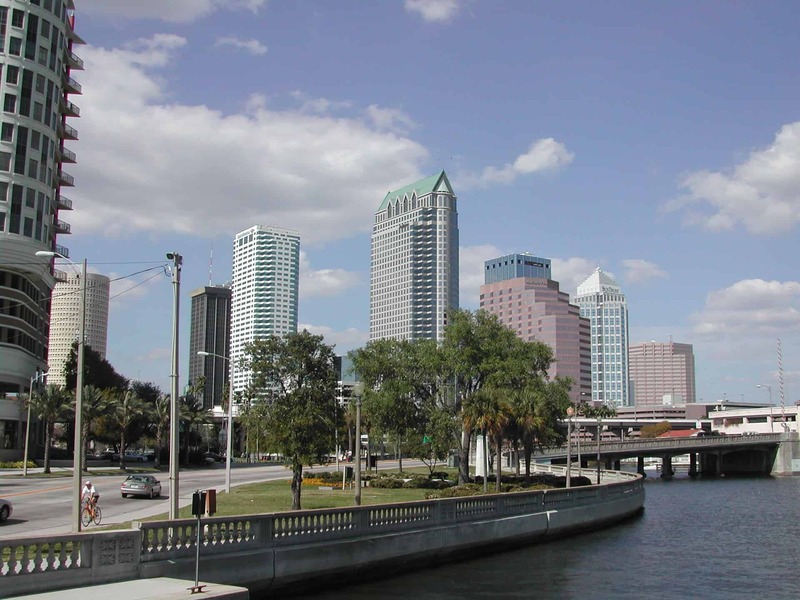 Hyde Park is classic Tampa all the way; downtown adjacent, where the river empties into old Hillsborough Bay. There’s tons of great things to see and do in Hyde Park. 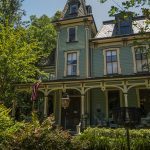 It’s known for it’s casual atmosphere, historic homes, shopping and food scene. 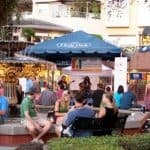 If you’re moving to Tampa’s Hyde Park neighborhood, here’s just a few of the things that makes the neighborhood a great place to live. 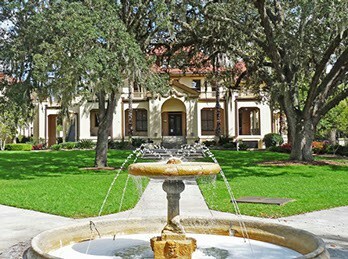 Hyde Park is in an enviable area of Tampa. Not only is it conveniently situated near major attractions, but the neighborhood is steeped in history and charm. 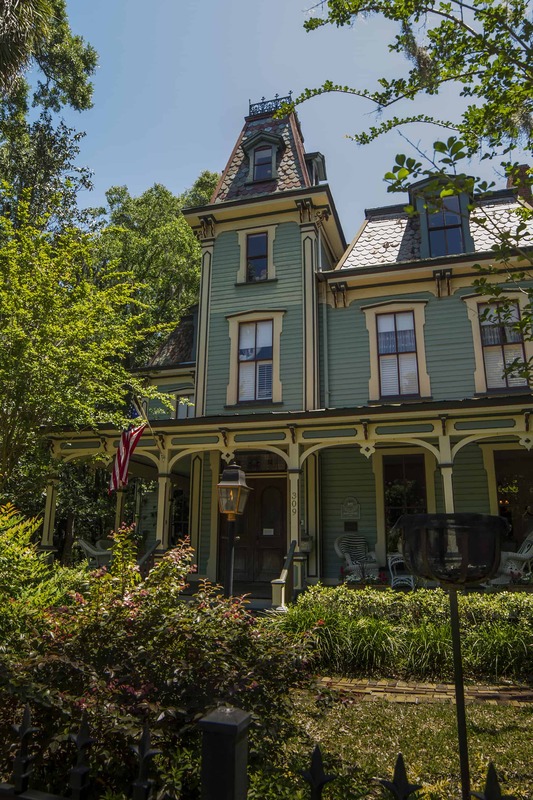 From brick-lined streets to Victorian-style homes and water views, Hyde Park. Homes along Bayshore Blvd. have an unobstructed view of Hillsborough Bay, while homes behind are only a short walk form scenic views along the bay or Hillsborough River. 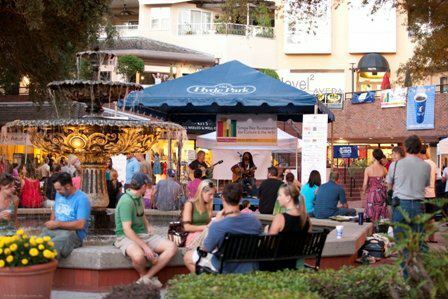 Another attraction to Hyde Park is its designation as a shopping district, known for it’s couture and boutique shops. 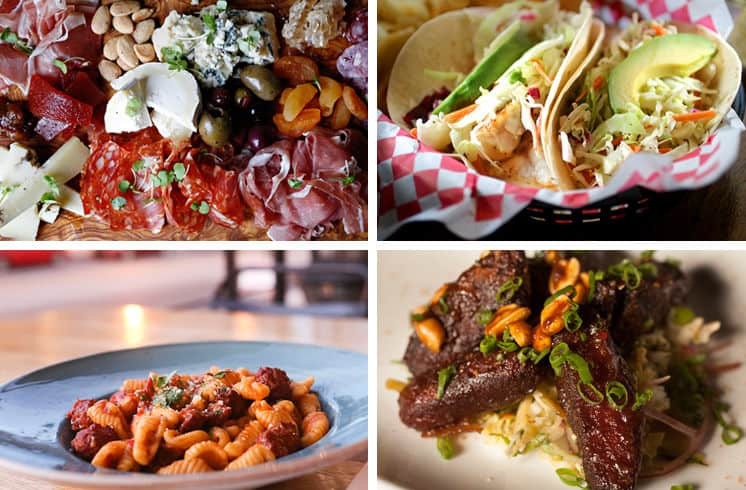 Hyde Park Village, offering an upscale retail experience with food and drink options a-plenty. 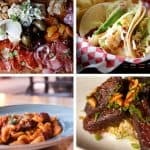 Some of Tampa’s hottest restaurants are found in Hyde Park. From casual to upscale, it’s all here and it’s all good. Here’s some of our favorites. A Tampa institution, redefined. 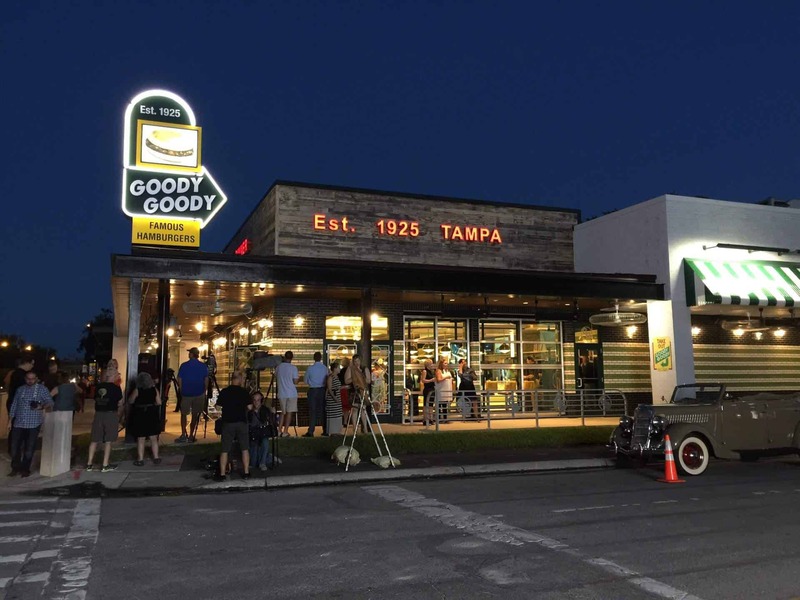 If you lived in Tampa back in the day (1925-2005 to be exact), you probably remember Goody Goody. The classic burger joint was a hot spot for locals day or night. After closing in 2005, many thought the fresh, unique taste of a Goody Goody Burger would be gone forever. However, Good Sir Knight Gonzmart (that’s Richard Gonzmart, of Colombia Restaurant & Ulele) felt it was time to bring it back. 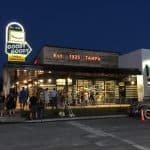 Goody Goody was officially reopened in 2016, to much fanfare. 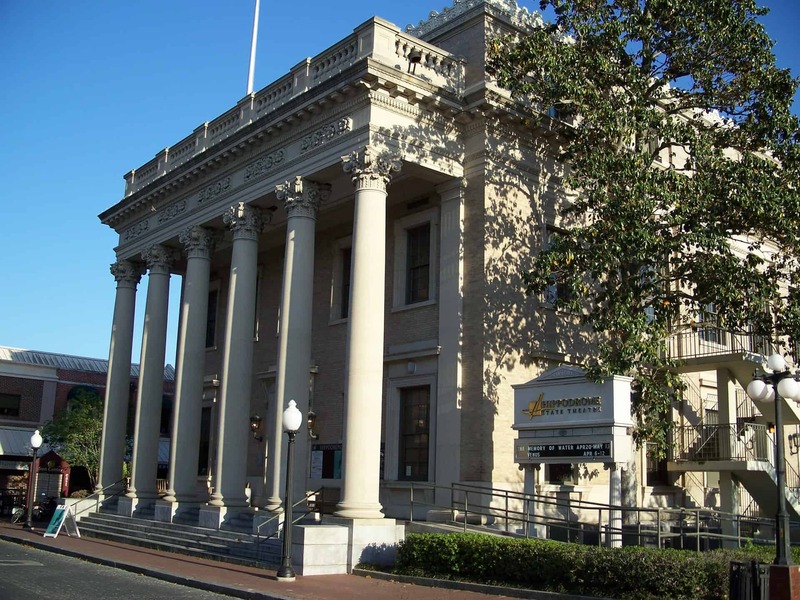 Now, you can get your taste of Tampa history anytime you want! 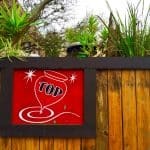 Looking for a more upscale dining experience? 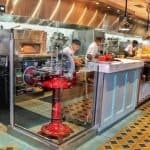 On Swann offers diners a refined, casual atmosphere while serving up refreshing takes on American cooking. 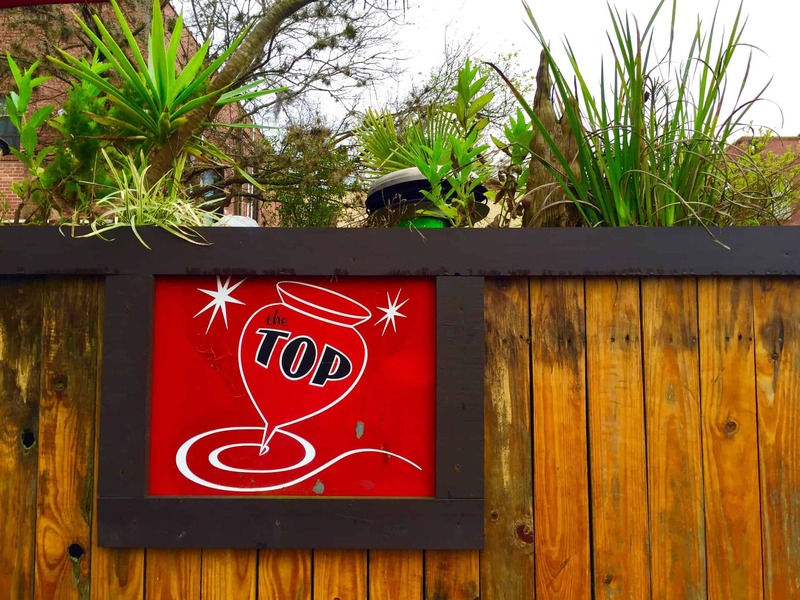 Serving fresh, local ingredients and signature cocktails, there’s little you can go wrong with here. 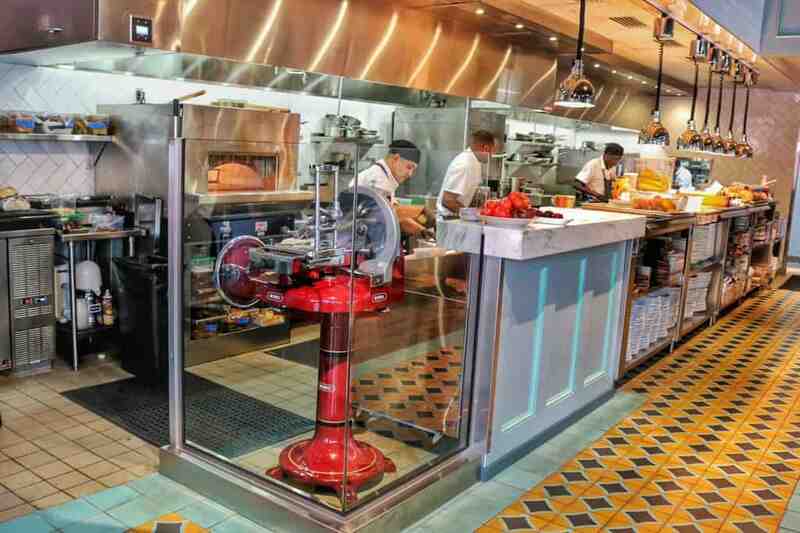 The open kitchen allows diners to see how food is prepared and served and the menu encourages sharing. But don’t worry, you can also get your own meals if you don’t want to share! We hope this gives you a small taste of what’s waiting for you in your new neighborhood! Living in Hyde Park is awesome. 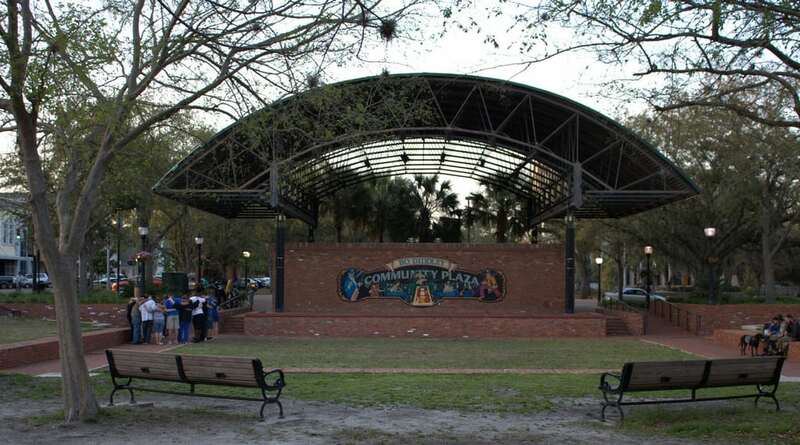 There’s tons to do, its family-friendly and the location is tough to beat. If you need help with your move, call us for a quote or fill out out this online form for a free estimate.